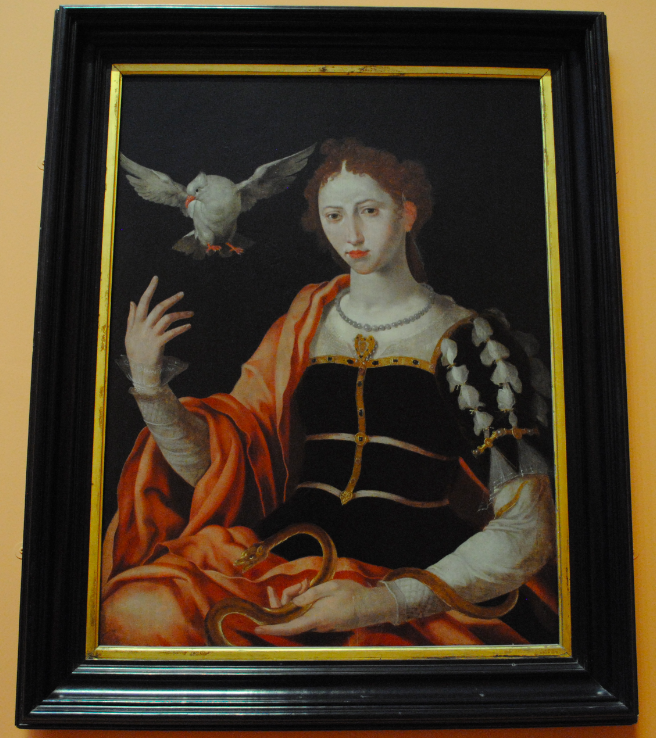 The above oil on panel is the work of the 16th century Dutch portrait and religious painter Maerten van Heemskerck. Studying in the school of Jan van Scorel, Van Heemskerck worked in Italy where he studied the Renaissance masters. He returned to his native country in 1535 where he continued to paint in the Italian style. 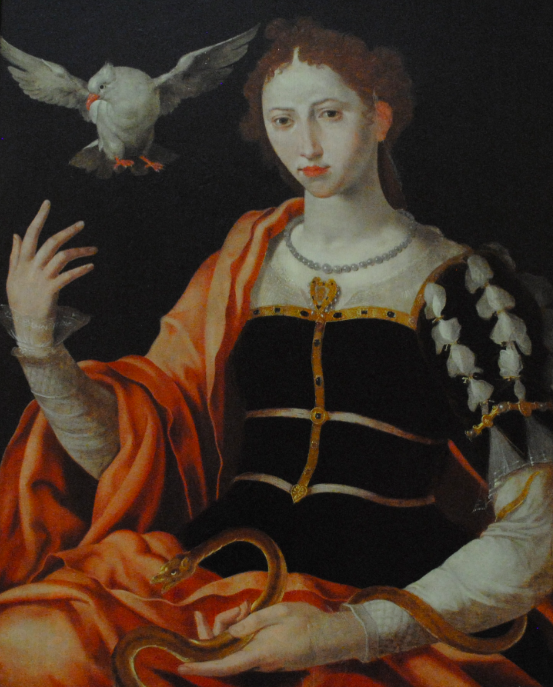 The subject of this painting is a personification of a verse from the Gospel of St Matthew (10:16) and depicts a young woman richly dressed. Such subjects were painted for public buildings, such as courts, as a reminder of standards expected from people in high office.